A Thai doctor said recently that unscrupulous vendors have been selling meat from the highly poisonous puffer fish disguised as salmon, resulting in the deaths of more than 15 people over the past three years. Some 115 people have been hospitalized. Although it was banned in Thailand five years ago, puffer fish continues to be sold in large quantities at local markets and restaurants. 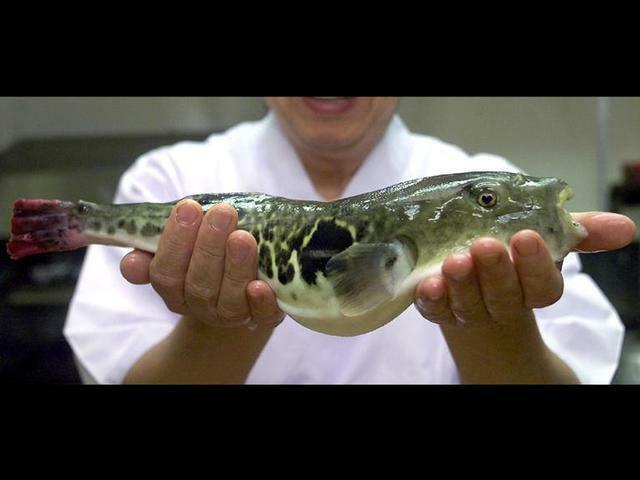 In Japan, the fish is called fugu and is prepared by highly trained chefs and consumed by thrill-seeking Japanese gourmets.